Haven’t heard this song in forever… great song. 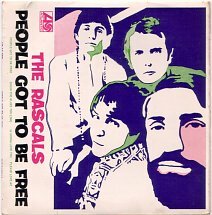 I like the background band more than the Rascals singers . Same thing with the Grass Roots…. Hard to believe it’s been 50 years! God I feel so old!